I have always had an interest in human science and medicine from a young age. Instead of taking a traditional medical route, I decided to find a profession in which I could master an in-depth understanding of medical sciences and biomechanics and apply it to patients using manual non-invasive techniques. Being a chiropractor is a privilege and has many opportunities for development and knowledge enhancement. I am passionate about understanding the human body and how it can become dysfunctional. I love the challenge of continued learning and applying this learning to improve the physical and psychological well-being of my patients. Working with everyday patients as well as athletes to overcome their pain is a wonderful feeling and gives me real pride in what I do. A patient came in with multiple disc bulges in his low back and severe longstanding disability. After 4 months of treatment, true patient determination and grit as well as a specific rehabilitation regime, he had no symptoms and was able to live a normal life again which was extremely satisfying. This made me understand why I do what I do and the impact we can have when the patient and practitioner work as a team. The people I treat, my colleagues and the constant change and development in the understanding of the human body, which can enable even greater success in what we can do as a profession. So far I have had a lot of great moments and have worked with some really inspirational people. However I would say that the privilege of working with Bournemouth football club was an experience to cherish over the rest. My time spent there and the challenges it presented, helped to shape the way I treat and manage patients on a day to day basis. I have always been interested in sports and love participating in everything, be it inside, outside or in the water. At the moment I mainly play golf and am looking forward to bringing my kayak down to Kingston so I can have a dip in the Thames. I also enjoy participating in boxing, rugby, athletics and cycling. I have a painful knee condition as I write this. I was originally very concerned that my cartilage had completely gone. I was assured by Marcus, that it was only a temporary condition albeit, it would take two or three months to calm down. Bursitis. Marcus treatment was thankfully varied, in the sense that, what worked for me, he did. So that I had the best option available. A very affable young man and a very capable. Even at reception you are treated extremely well. On the whole, a very professional and reassuring experience. Thank you. ]The chiropractor, Marcus Higgins, has been treating me for sciatica. His ability to treat the pain and the psychological distress of sciatica has been wonderful. I would recommend this clinic for the efficient and friendly staff and the excellence in care. I always knew that there was an underlying problem and working with Marcus Higgins has quite honestly transformed my life. After diagnosing the knee pain as a chronic Tendinopathy, we have both worked hard to get my bio-mechanics in check and applied Shock Wave Therapy to correctly align the collagen in my patellar tendon. It’s hard for me to believe that I can now perform weighted squats again pain free! I can’t recommend Marcus enough for his clear desire to find an answer, wealth of knowledge and holistic approach to health. It’s always a quandary getting on so well with the guy slightly torturing your knees! Thanks for everything. 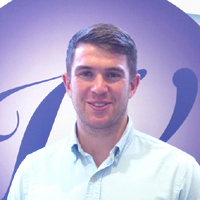 I feel that I have received an excellent and very thorough service, I have visited different chiropractors in the past and never received such detailed and diligent practice as I have at the Waldegrave Clinic. My treatment included various methods, X-rays and referral for an mri scan after my doctor refused, which clearly diagnosed my problem. Marcus has liased with my GP throughout, even arranging for them to do blood tests. What impressed me most was the upfront honesty in telling me that continuing with treatment was unlikely to help as it is a surgical issue. All this took little over a month, where as other practices would be happy to keep seeing you for as long as you keep paying. I can not recommend them highly enough. Went to get chiropractor treatment for my neck and shoulders. Marcus did a fantastic job. I feel miles better after just one visit. Highly recommended! Always very happy. I see Marcus & he is amazing, Highly recommended him. Do you get back pain playing golf?